Outside Healden Grove Andrew, married to Julie, has seven grandkids, Orla, Sonny, Leah, Hannah, Dylan, Connor and Finlay. Julie will tell you he has also had too many midlife crises, which have seen him power boating around the coastal waters of Britain and riding a BMW 1200 RT motorbike. His latest and he tells Julie it is his last, is "track days" in a Westfield car, powered by a 2.0L Ford Zetec Blacktop engine. Andrew is now a qualified observer for the Institute of Advanced Motorists, helping drivers of all ages improve their standards of driving. Andrew founded Healden Grove in 1991 and retains responsibility, along with a strong management team, for the direction of the company. He is passionate about helping businesses and their owners be successful and this includes not just our professional clients, but their clients as well. A serious illness in his early 20’s, from which he fully recovered, was instrumental in forming his outlook on life. This outlook embraces an extraordinarily high standard of ethics and a determination to succeed that has not only shaped his life but also the hundreds of other businesses he has acted in a consultancy capacity for, as well as of course, Healden Grove itself. Outside Healden Grove, Andrew and Julie are almost inseparable and are often seen walking out with Bailey and Lucy, Julie's long awaited Dalmatians. Fine red wine is a bit of a passion for Julie and she also enjoys experimenting with new recipes, using Andrew as her guinea pig, not always getting the reaction she is looking for. Julie joined Healden Grove in January 2001 and is responsible for maintaining accurate books and records for the company. Andrew and Julie married at Gretna Green that same year. She is devoted to Andrew and they have a very full family life with 7 grandchildren to keep them busy. 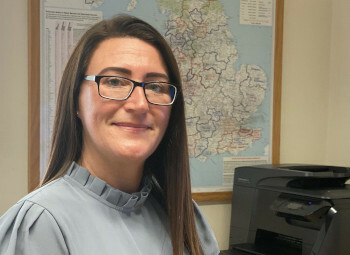 As part of the management team she plays a formidable role in managing the finances of the company with Andrew and also has responsibility for administering the Direct Debit system, with which our clients pay us. When he is not travelling the country visiting clients, Tim spends the majority of his free time with his wife Ruth and their two daughters. He is also a self confessed ‘Apple’ fanatic which means he has an instant affinity with any product whose name starts with an 'i'. Tim joined Healden Grove in 2002 from the IT industry where he managed a team of people within a national computer retailer and it is difficult to say whether he or Healden Grove experienced the bigger shock! He has held several positions within the company as his career has progressed and Tim's experience in each area of Healden Grove's operation has led him to become a valuable reference point for both clients and colleagues alike. 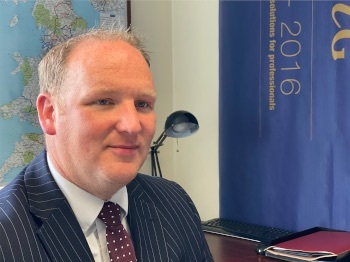 This extensive knowledge combined with Tim's tenacity and his dynamic approach made him an obvious choice for the Board of Directors, which he joined at the start of 2013. Lorraine and her Husband David have been together since they were 17 years old and they appreciate the value of a good work/life balance, therefore weekends are very much "family time" when they are devoted to their son, Clay. Whether this is time spent feeding the ducks in the park or running around a field playing football, family time is anything but quiet time! Lorraine joined Healden Grove in November 2003 as our receptionist. Since then she has worked her way up through the ranks and is now a Director. 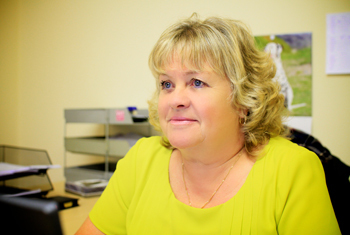 Lorraine's role is to supervise the day to day contact with our clients as well as ensuring the quality of the interaction between Healden Grove, its clients and suppliers is of the highest standard. Outside of Healden Grove Richard spends most of his time with his partner Natalie and their Yorkshire Terrier, Arthur. Richard & Natalie are both Blackburn Rovers supporters, for their sins, going to many home and several away matches each season. Richard also regularly visits France to help keep his parent's house and garden maintained. 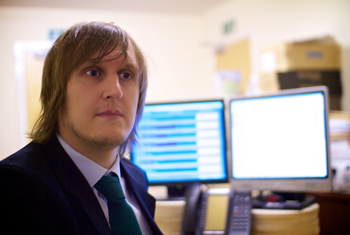 Richard joined Healden Grove in 2009, from a varied background in print, account management and IT support. His initial brief was to replace the outsourced technical support that the company had used up until his arrival. Since then, Richard has designed and developed applications that have made their way to the forefront of most of the daily operations at Healden Grove. The Technical Department, which Richard now leads, has been instrumental in the development of many software solutions, the most notable being Healden Grove's CRM solution, which is already being used by many businesses throughout the UK. 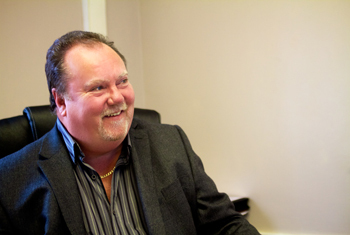 As part of the Management Team, Richard ensures that the company capitalises on the benefits of the latest technology.